Allworthy - Yes He Is! MAGIC MARVO delivered an early Christmas present for the owners today as he won impressively again over the 1600m journey. The jockey Jason Taylor was able to settle the gelding at the tail of the field before unleashing a powerful burst down the outside to win moving away by a long head in the time of 1.35.9 sec. All is set now for the Bernborough Hcp over 1615m at Doomben on the 6th January 2007. After this, 'the Marvo' will return to the farm for a well deserved spell before being set for the Brisbane Winter Carnival. SILENT WITNESS today showed signs that a return to the winners circle is not far away. Plenty has been said about his fall from the top but the horse is now showing signs that he is slowly regaining form. His racetrack form was all but taken away from him when he was hit with a debilitating virus that struck over 12 months ago. He may never reach the dizzy heights that he once stood but a win at the elite level is not far away. Ridden off the speed by Felix Coetzee the gelding although held up at the top of the straight finished powerfully to run 2nd to ABSOLUTE CHAMPION in the Group 1 Hong Kong Sprint over 1200m. Although the winner was far too good, SILENT WITNESS showed that a win was not far away. The horse definitely showed his liking to be ridden off the speed and another attempt over the mile is a likely target for connections and trainer Tony Cruz. ALLWORTHY - YES HE IS!!! ALLWORTHY (Thunder Gulch - Innocent Age) was an impressive winner at Rosehill today.The 5yo gelding was ridden by Simon Miller and won by 1/2 length in the time of 1.16.9sec for the 1300m. The trainer Joseph Pride has this lightly raced gelding firing at the moment and another win is just around the corner. Jade Tiara has been confirmed today as being back in foal to champion sire Redoutes Choice. 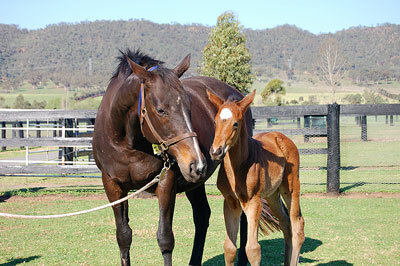 Pictured above is this seasons Jade Tiara's filly foal at foot by Redoutes Choice. 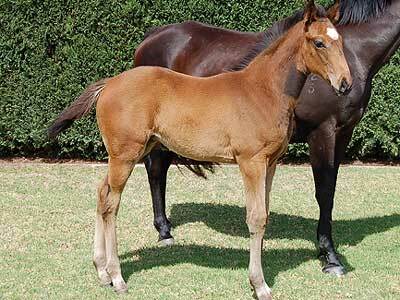 We hope that the 2007 foal is as nice a type as this years foal. Magic Marvo today showed what a true marvel he is when winning the listed 1600m race today at Eagle Farm. Confidently ridden by Jason Taylor, Magic Marvo won the 1600m listed race in the time of 1.34.9 sec. Today was his 8th victory and takes his career earnings to $453,240. 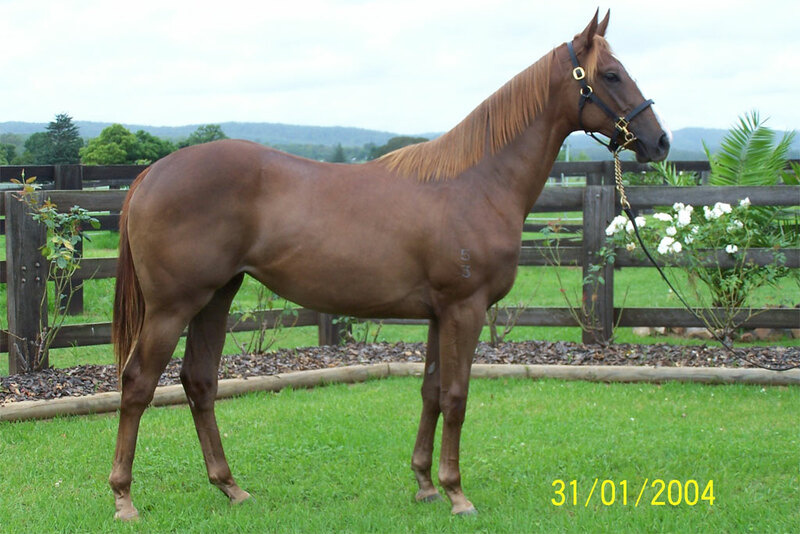 Not bad for a horse who failed to reach his $10,000 reserve at the QBBS Sale Brisbane Showgrounds as a yearling. 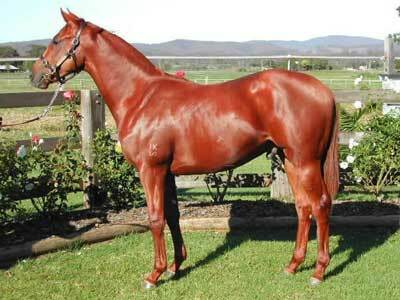 He will now be set for the 1600m Listed Recognition Stakes at Eagle Farm on the 2nd December 2006. Go Marvo Go! Allworthy made it city winner number 10 for Edinburgh Park today. The Thunder Gulch gelding who was sold at the 2003 Classic Yearling Sale won impressively by 3/4 of a length in the time of 1.10.8 sec. Ridden by Jay Ford the lightly raced gelding trained by Joseph Pride looks to have a few city wins in store if he continues to improve this campaign. Barbara Joseph's consistent galloper Armaday made it win number six when he won at Wagga Wagga today. Confidently ridden by young apprentice Kane Smith, the 5yo Armidale gelding won by 3/4 of a length in 1.10.1 sec for the 1200m Class 6 handicap. Today the great SILENT WITNESS took his first steps towards returning to the winners circle. Twelve months earlier he tasted victory in this 1200m Group 1 Sprint in Japan but today the result was not going to be repeated. SILENT WITNESS ran a brave 4th beaten three lengths to the new sprint king Takeover Target. SILENT WITNESS will now be set for a rematch in the 1200m Group 1 International Sprint in Hong Kong on the 13th December 2006. The monkey is off everyone's back with Empress Jade (Encosta De Lago - Jade Tiara) finally saluting at Canterbury over 1550m at only her 5th start. Ridden quietly by Hugh Bowman the filly was last on the turn and once balanced was able to get a split half way up the straight and lengthened stride beautifully to win running away by 1.3 lengths. The filly has promised plenty on the training track and it was good to see the filly break through for the connections. She will now be set for the 3yo fillies black type races in the spring. A Redoutes Choice filly was born this morning out of our grand matron Jade Tiara. The filly is a half sister to the great SILENT WITNESS. The filly is bay with awhite star and one white sock. She is a very leggy filly and looks to have plenty of quality about her which is typical of all her foals.Jade Tiara will again visit Redoutes Choice this season. Paul Messara was all smiles when his 3yo gelding Rey Bedouino (Commands - Ancient Lights) saluted at his first start at Tamworth over 1200m. Ridden by L Morgan the gelding won easily by 1.5 lengths. Paul Messara has given this horse plenty of time and he is sure to reap the rewards for his patience. 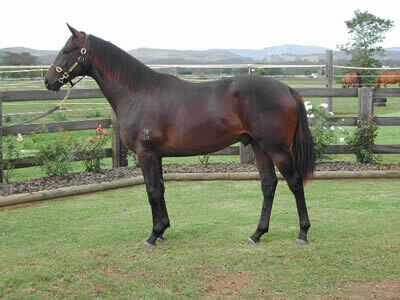 Purchased at the 2004 Easter Yearling Sales for $160,000 the horse was always destined to be a winner as he was a cracking type as a yearling. Armaday the half brother to Magic Marvo made it a good weekend for the family when he charged home from a long way back to win the Class 6 1000m handicap on the Sapphire Coast track. The horse trained by Barbara Joseph nailed the leaders right on the line. The horse has come back in fine style this preperation and a trip to Sydney should not be to far away for the Armidale gelding. Magic Marvo today stood tall and was gallant in defeat as he charged home from last on the turn to finish 4th in the Group 1 Stadbroke. Although beaten by La Montagna, Magic Marvo stormed home and was only beaten by 2 lengths in 1.22.9 over 1400m. A bad barrier draw made all the difference in the end and he will now go out for a well deserved spell and be set for some nice races in the spring. Today was the day for Magic Marvo. Contesting the Listed MacDougal Stakes over 1500m and ridden by Jason Taylor the Bite The Bullet gelding won by 0.4 of a length at his first race start at Eagle Farm. This win was well deserved after his previous two starts were slashing runs. The horse has thrived since arriving on the Gold Coast and he will now contest the Group 1 Stradbroke Handicap on the 10th of June. The Canberra track was to Armaday's liking today as he won the Class 3 over 1080m. Ridden by Simon Miller for Barbara Joseph the gelding seems to have returned in fine order after his spell. Mr Splinters again showed his liking for the Caulfield 2400m circuit. The gelding came from well off the pace to score by along head. The Woodman gelding has now won 5 and over $150,000 in prizemoney which is a great return for his owners who purchased the Woodman - Review gelding at the 2003 Easter Yearling sales for $30,000. A brilliant win for Mr Splinters today over the 2400m trip at Caulfield. Ridden by M Pegus the horse won by 4.3 lengths and it looks as though Tony Vasil has certainly found the key to this stayer by Woodman. 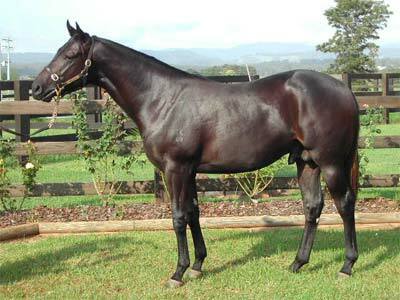 Edinburgh Park has just finished another busy yearling Sales for 2006. The Melbourne Premier was our last sale for the year. Grossing $185,000 the 3 yearlings averaged $61,666 with the top price being $95,000 for the Anabaa - Ancient Lights filly. The Rockhampton climate is certainly helping put the spring back in the step of the 4yo gelding Mausoleum (Grand Lodge - Daisy Cutter). The gelding continued on his winning way today easily accounting for a Class 1 field at Rockhampton by 4 ½ lengths over 1400m. Ridden by D Evans the horse looks like he is here to stay in the Queensland sun. 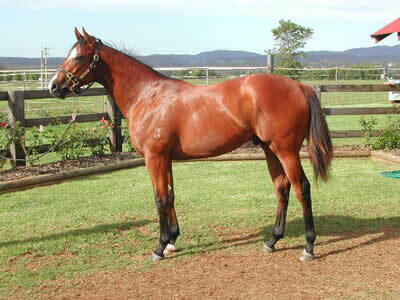 Mr Splinters returned to the winners stall today winning very well by 1 length over 1400m. Ridden by Dwayne Dunn the gelding was having his second run back from a spell. The horse looked well in the yard before the race and it looks like he will only improve on that run. The 4yo gelding by Grand Lodge finally broke through for a win. 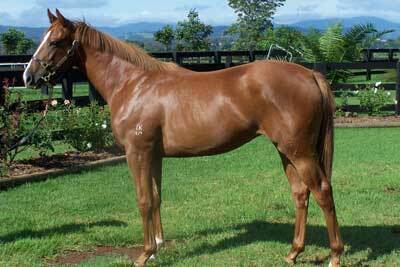 Mausoleum now trained by Ricky Vale of Rockhampton won his maiden today by 1/2 length over the 1300m circuit. The Classic yearling sale has just been completed with Edinburgh Park grossing $163,000 and averaging $40,750. This was a pleasing result as the sales average was only $38,041. 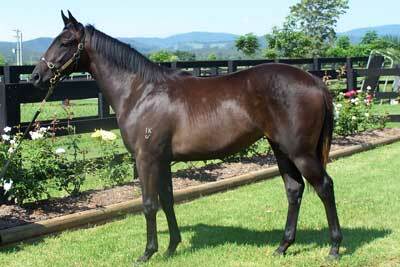 The top lot was the Arena - Joleur filly which sold for $60,000 to the bid of Rod Craig. Today Bart Cummings produced an outstanding filly at the trials at Randwick. Empress Jade (Encosta De Lago - Jade Tiara) won her 2yo Filly 740m trial with ease. Ridden by champion jockey Darren Beadman the filly jumped brilliantly in the trial before Beadman eased her back to share the lead with the inside runner. Rounding the turn the filly was given more rein and kicked clear in the straight to win unextended in the equal fastest time of the day (44.6sec). The filly was purchased by Bart Cummings at last year's 2005 Easter Yearling Sales for $480,000. She was an outstanding type at that sales and by all accounts she is shaping up well and will have her debut run in the very near future. 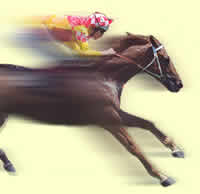 SILENT WITNESS is still rated the World's Best Sprinter with an international rating of 123. 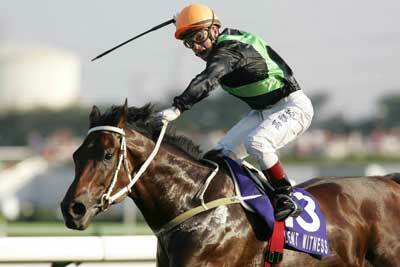 He maintained his title with his brilliant win in the Group 1 Sprinters Stakes in Japan over 1200m. After three very bad runs after last seasons break VERY FIT was back to something like his best with a resounding win at Sha Tin over 1800m. Ridden by C Soumillon the change of jockey seemed to get the best out of the horse and hopefully the Hong Kong Derby can now be looked at for the half brother to SILENT WITNESS. After the win he was elevated to 95 rating which is the highest of his career.